The term 'organic', like everything these days is quite a tricky word to really pin down the meaning of. If you look at different sectors it can mean different things depending on whether there are legal labels and definitions. Within the food and textiles industry there is a legal system in place that enforces and guides the use of the term organic, however in beauty this is not (yet) the case. 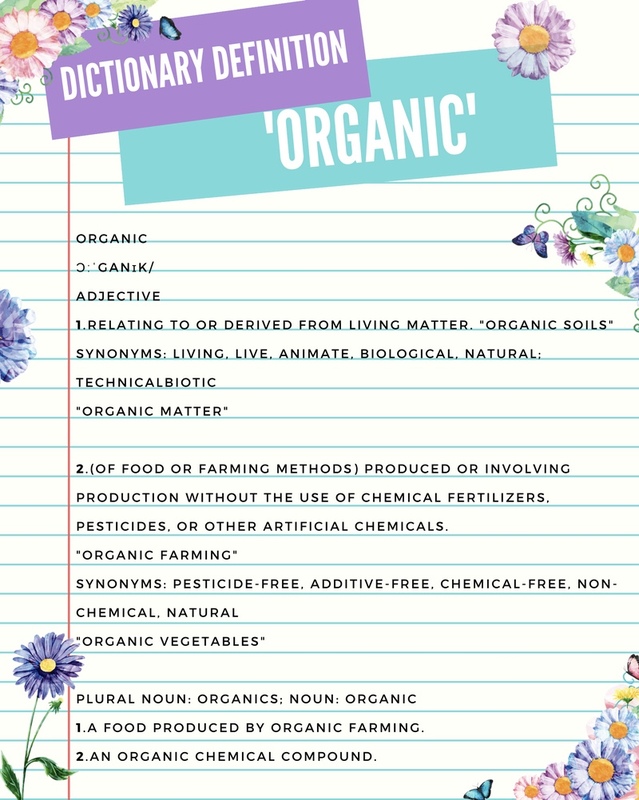 But seeing as we are talking about organic all this month, it's a good idea to have a general idea of what organic means. If you look up the term 'organic' in the dictionary you will get a range of meanings that cover all sense of the word. The sense that we are interested in however, is what it means for our food, ingredients, beauty, textiles etc. which is defined in point 2! While the above in the dictionary implies that no pesticides are used in organic farming, in reality in some exceptional cases naturally derived pesticides can be used. So, organic food is food (plants and animals) that has been farmed with no manufactured herbicides or artificial fertilisers and lower levels of pesticides than traditional farms. Animals have not been fed with additives in their feed or raised with antibiotics and GMOs are banned. Organic farming also means that a conscious effort has been made to keep the connection with the wildlife and natural process of the earth, using sustainable farming methods, including crop rotation, animal management etc. For food to be legally called organic it has to be certified by a certification body approved by DEFRA. The same also applies for organic textiles, which again have to adhere to certifications and laws. Raw products of organic textiles such as cotton, silk, jute, hemp must be grown on organic farms and which are also manufactured without any chemicals in the process of making the raw fibres into fabric and materials. 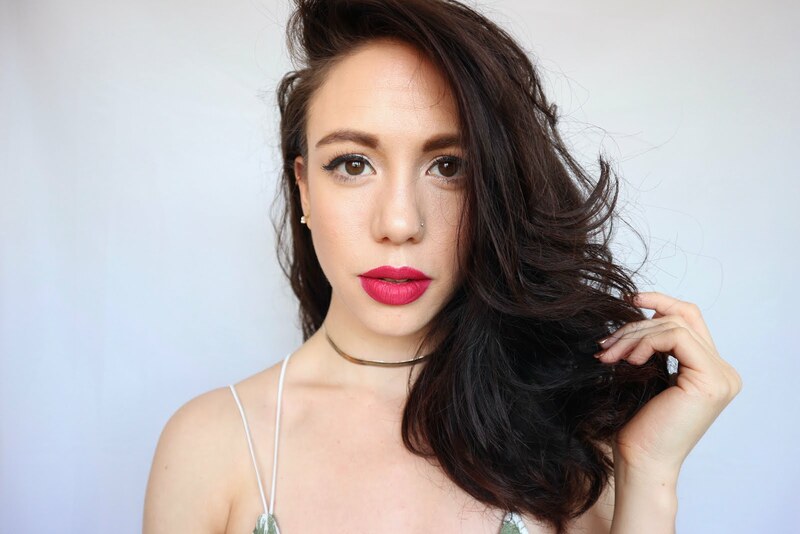 However, as mentioned it is not the case for beauty products, although certifications such as SoilAssociation, Cosmos and Ecocert among others are used by many companies to ensure us that their products are truly organic. With these certifications you know that the ingredients have been gown on organic farms much like organic food. We will touch on this much more in Organic beauty Week. For me choosing organic means that you have a clear understanding of your food or fabric or beauty product as a whole by being able to clearly see how the small 'parts' are made/grown or sourced. Whether it is the fruit, vegetables, plants and animals (& animal byproducts) that make up our food or beauty products as a whole, or the plants that are used to make our textiles. Each of the smaller parts can be organic and make a final 'product' that itself is organic. Remember to know if something is definitely organic: #Lookforthelogo! Such a great post! Well done for breaking it down as can be very confusing. Would You Like a Cup of (Organic) Tea?